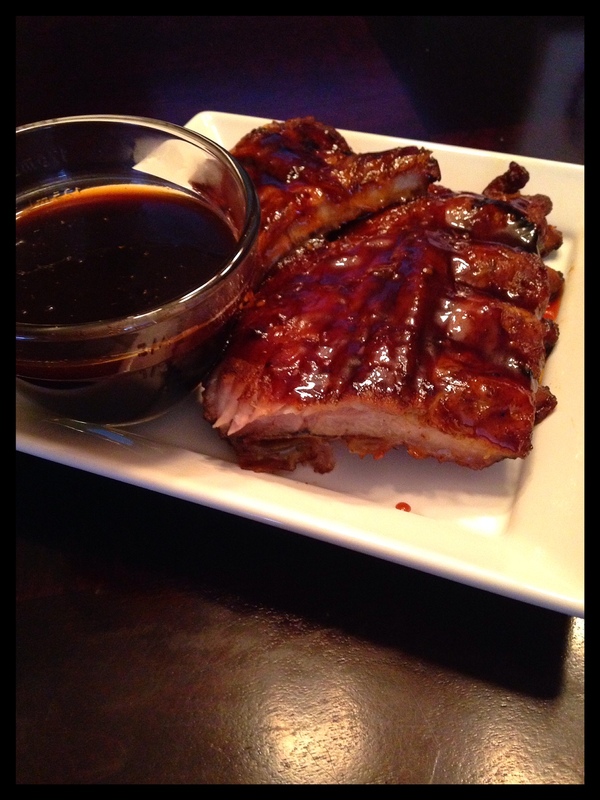 Oven-Baked Baby Back Ribs with Whiskey Glaze | Kitchenpants! And that’s why I usually stay away from it. These ribs are baked in the oven at a very low heat for a very long time and they are definitely a little high maintenance at times. The result, though, is a tender rack of ribs with meat that falls off the bone and melts in your mouth. 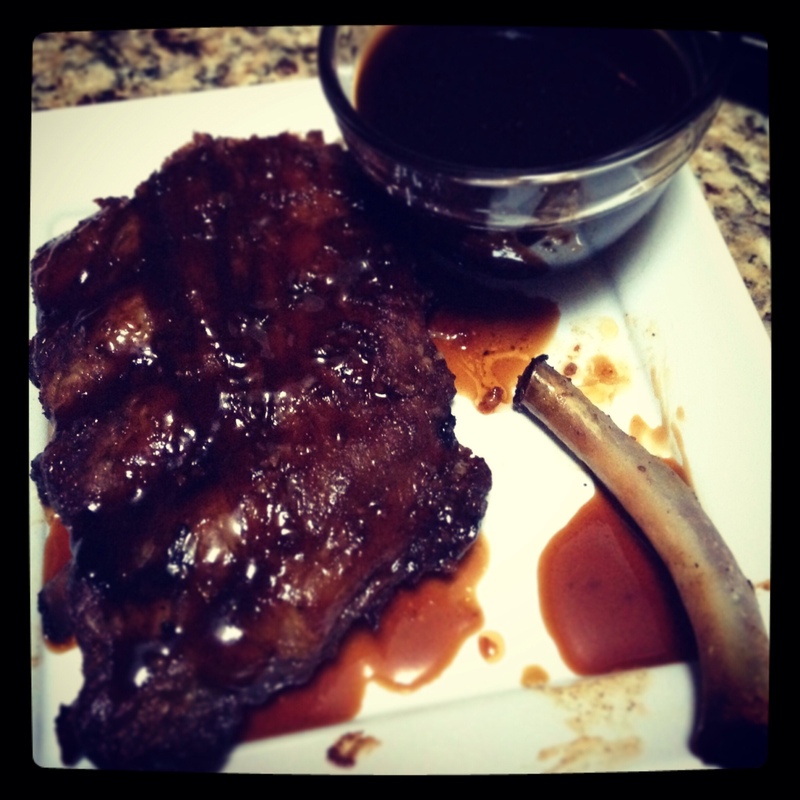 The glaze gives just the right amount of sweetness to the saltiness of the pork and the rub adds just a bit of spice. Plan on at least – at least – 6 hours of time to prepare and cook this recipe. 1 Slab of Baby Back Ribs with the white underside membrane removed. Ask your butcher to remove it if you aren’t sure how to do this or watch this video. 1 Packet of Colorado Spices Picadillo Pork Rub – Any other rub that you like will work, but this is what I use. You can find it on Amazon. 2 oz. 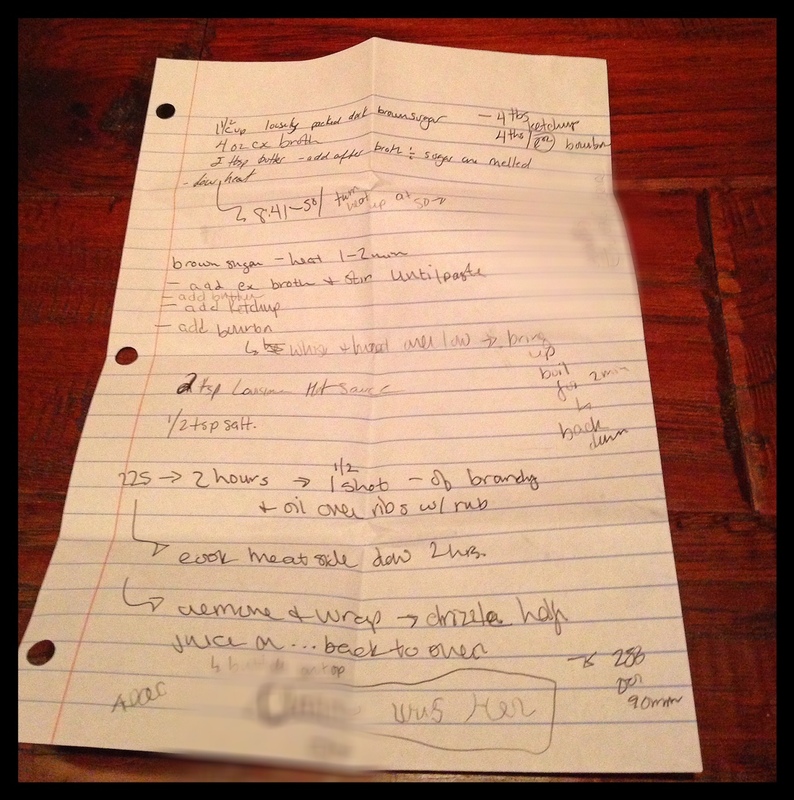 of Whiskey – I use a Bourbon Whiskey, but any drinkable Whiskey will do. I would suggest one with vanilla undertones like TX Whiskey (widely available in Texas). 2 Tsp. 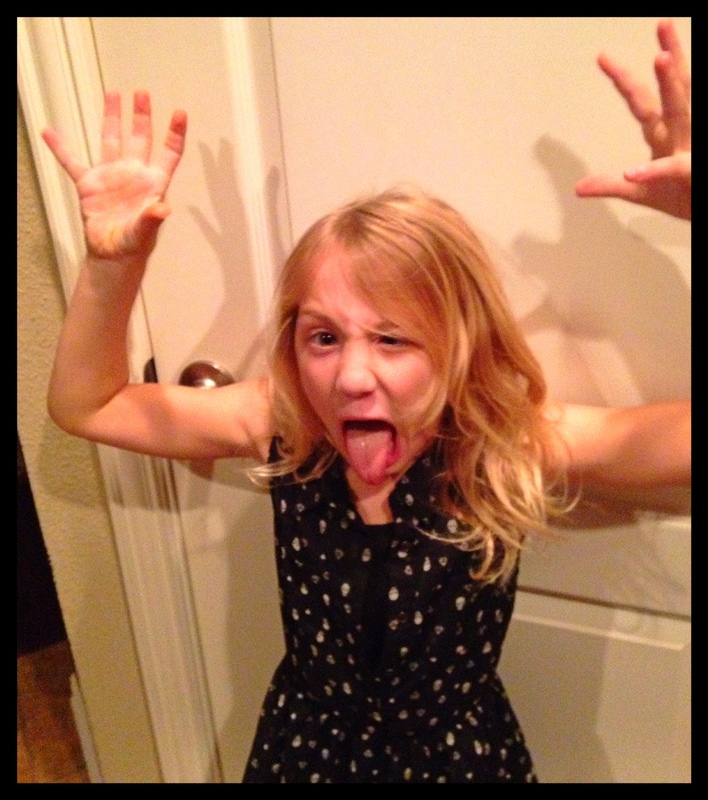 Hot Sauce – I use Louisiana Hot Sauce. 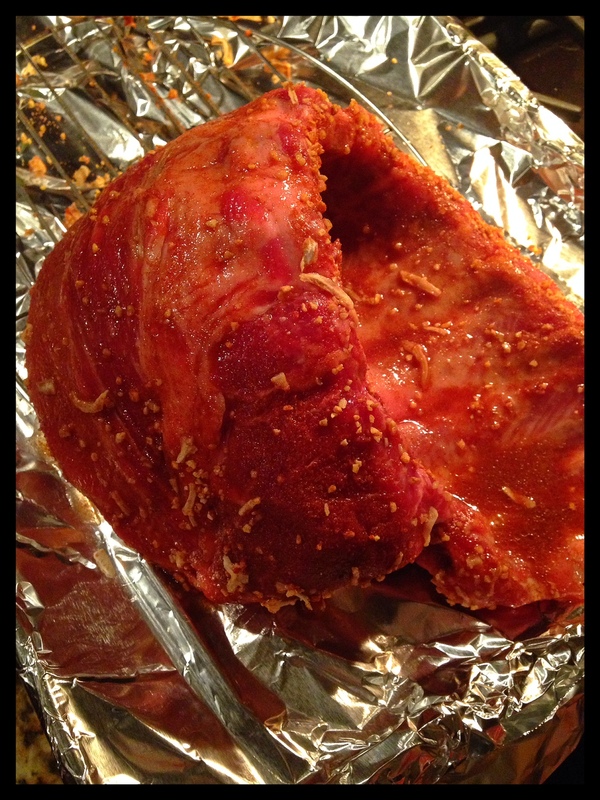 Coat the ribs with rub, wrap them in foil, and place them in the refrigerator for at least an hour. I personally like to leave the rub on a bit longer. When you are ready to cook, remove the ribs from the refrigerator and let them come up to room temperature. Pour the 1 oz. of whiskey over the top (which is actually the underside) of the slab. Pour a bit of chicken broth in the bottom of the sheet. Just a bit. This is for moisture. Place the ribs in the oven on the middle rack and let them bake for 2 hours. While the ribs are baking, prepare the glaze: place 4 oz of chicken broth and brown sugar in the sauce pan and heat on medium-low heat to melt the sugar. Stir it as it is melting so that it doesn’t burn. After the sugar melts, stir in the butter. 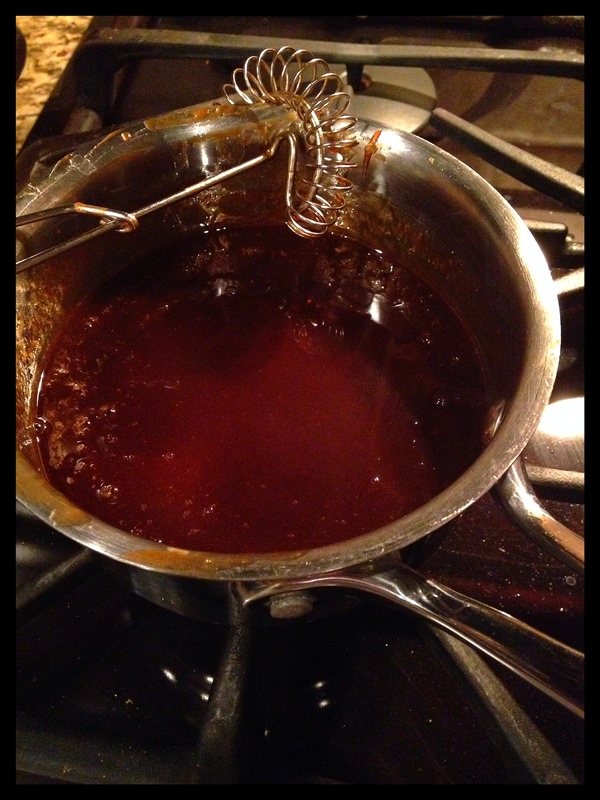 As the butter melts in, add the ketchup and hot sauce and whisk the mixture together all over medium-low heat. Finally, add the whiskey and let the glaze blend for 8 minutes or so. Turn up the heat and bring the mixture up to a low boil for 2 minutes (stirring the whole time). Then, remove it from the heat and set it aside. You won’t need to heat it again until you are ready to serve it. Keep it covered while you have it set aside. After 2 hours, remove the ribs. Lift the ribs from the baking rack and remove the rack. Place the ribs back onto the foil that they have been cooking over with the meat side up. Draw the foil up around the slab and baste the meat with the whiskey glaze. Divide your 2 tablespoons of butter into chunks and place chunks on top of the meat. Wrap the meat in the cooking foil. You may wish to add another layer of foil around the first layer for reinforcement. Place the ribs meat side up back on the baking sheet and return to the oven. Increase the temperature to 250 degrees and bake for an additional 90 minutes. The internal temperature of the ribs should be 160 degrees in order for you to declare them done. 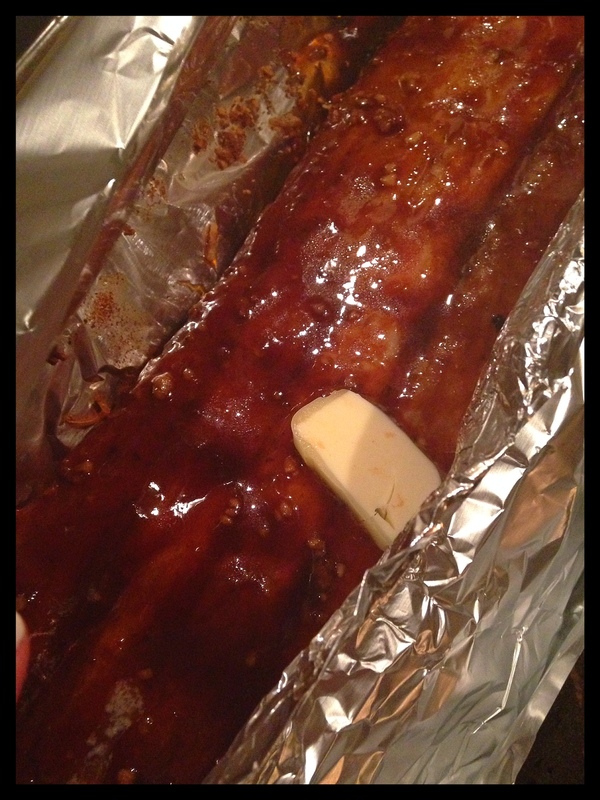 Remove from the oven and let the ribs rest for at least 10 minutes. Baste one more time with glaze before serving. PS. These ribs reheat really nicely. Wrap whatever ribs remain in foil and place in the fridge. 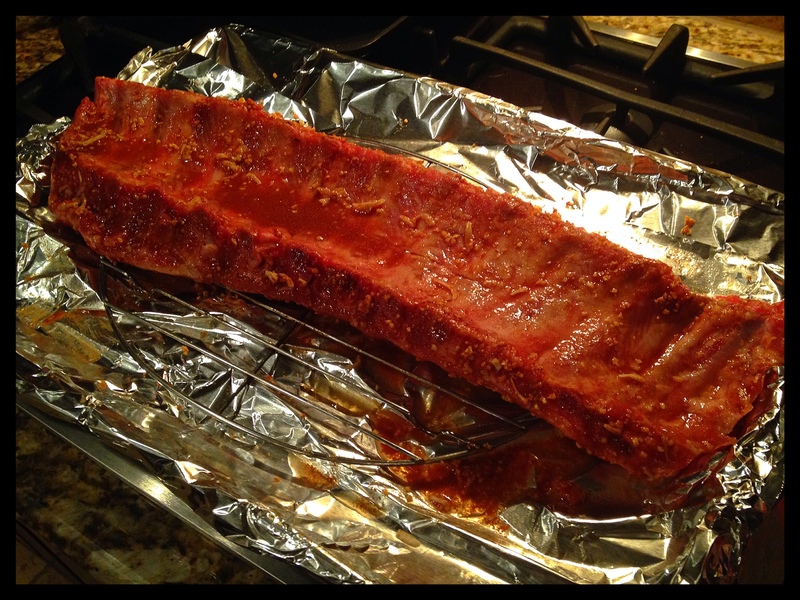 When you are ready to reheat, place the ribs in a 250 degree oven until heated through…about 30 minutes or so. *I’ve just decided that “slab” is one of the grossest words in the English language. Thought you should know.